Printex offers a complete line of the best quality and most affordable supplies and accessories to cover all your pad printing requirements. 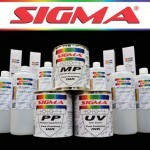 Our Sigma Ink offering is compatible with most substrates and an array of additives are available to enhance the performance characteristics of the ink. 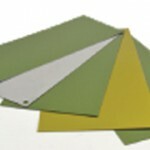 Please feel free to contact us with any questions you may have for your particular substrate. 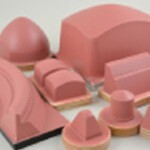 Our pad selection includes the most popular shapes and sizes available in a variety of durometers. Our printing plate selection covers the best photopolymer materials in both water base and alcohol base chemistry, hard thin steel plates that are as easy to use and produce as good a print as photopolymer plates do with the high durability of steel and laser engraveable polymer plates that perform as well as a conventional photopolymer plate. Featuring our patented Non-Stick Coating, magnetic coupling and double edged ceramic rings makes our ink cups superior to other designs. 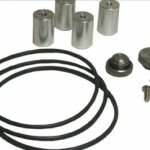 Performance enhancing accessories such as our patented cup chamber baffle, increase productivity by reducing the need for frequent ink monitoring while producing more consistent prints.